I’m talking about good makeup. The very base of your makeup, should be a good foundation. For me I find it time consuming, so I reserve foundation for special occasions, or a night out. Setting Powder & why you need it: If you use a liquid foundation, you will need a powder on top as well. It helps the foundation from cracking when you sweat. The best option (also the most flexible) is called setting powder. 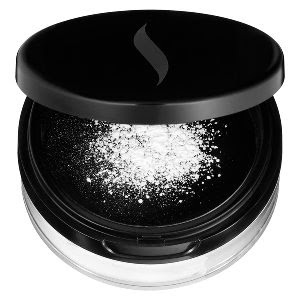 Setting powder is usually a white powder that goes on clear, that you can substitute for a matching powder foundation. For a budget one, Sephora has one for about $16, or you can try NYX at Ulta which is only $10. Ulta always has coupons, sign up for their email to get it! If you want to splurge, NARS has one for $35, while Laura Mercier has one for $37. Another tip: It’s best to go with foundation color is is slightly lighter than your skin tone. 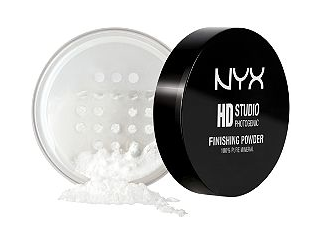 There are some women who like to use only powder foundation; but this is a personal preference. They like a minimal coverup, some of them help with acne, etc. To use only powder foundation is good for oily skin. And for liquid foundations! Budget makeup I always go with the Sephora brand. It’s not expensive, and I find the quality is good. One bottle of liquid foundation is about $20. If you would like a drugstore brand, L’oreal Paris True Match Super Blendable one is only $10, or Cover Girl’s Ready Set Gorgeous is about $7. For a splurge a bottle of Makeup Forever is $43. There are foundations with oil control! Just keep in mind that if you do wear liquid foundation then you will definitely need the setting powder from above. Put on your foundation, & then dust on some setting powder to prevent it from cracking when you sweat. 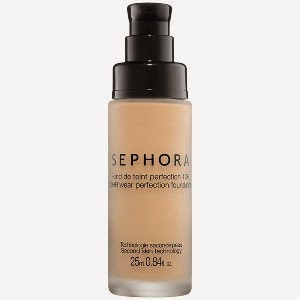 Oil absorbing minerals cause this foundation to last up to 12 hours! Helps balance oil, but also treats & prevents blemishes! Then finally.. how to apply? Of course you head to your beauty sponges, that you can pick up almost anywhere. Of course they will have it at Target, Walmart, BUT the cheapest place I’ve found them was at the dollar store. Thats right!! For the EXACT same thing. 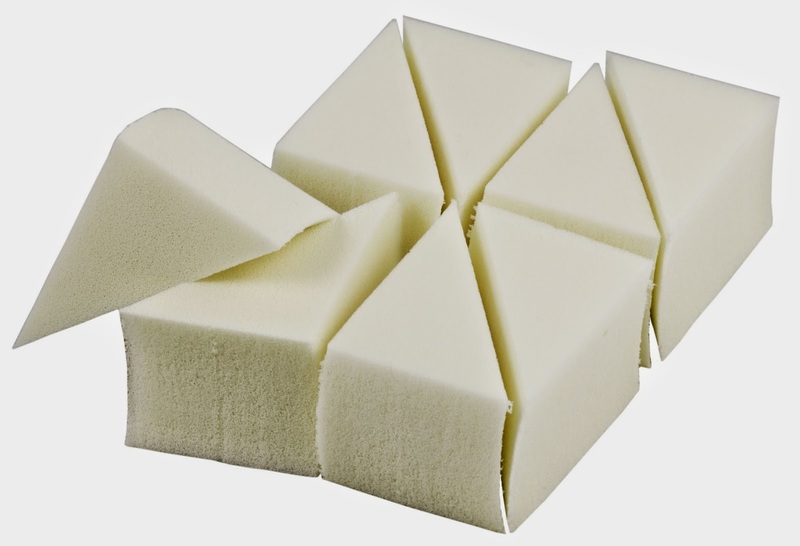 Honestly to save yourself some money in the long run, get one of the makeup sponges below (like the Beauty Blenderor the The Real Techniques Miracle Sponge) because also you will end up making less garbage. Makeup artists prefer to squeeze a little bit of foundation on a palette, or on the back of their hand first before putting it directly on the sponge. 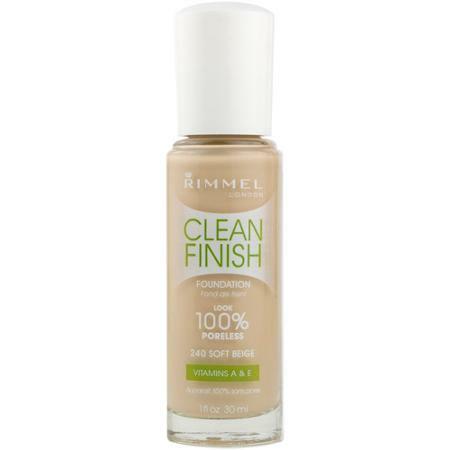 I’ve been told that this controls the amount of foundation that you put on your face; whether you want to put more/less. Putting it directly on a sponge/brush makes you waste the foundation. Make sure you also put some on your neck! Quite often women forget to put foundation on their necks. Best to use dab your sponge onto your foundation, & then pat all over your face & blend. The most efficient way to put on foundation, I find: There are some women who love to dab the foundation on their faces with their fingers, & then blend it all with a brush. 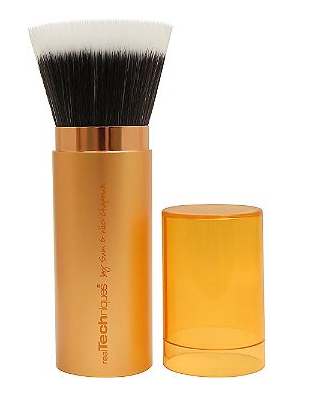 If you want to use a brush for foundation, best to use a synthetic brush (They absorb less than natural fibers). Honestly I find it the best way to put on foundation. I will dab it on my fingers, & then smear it on my face, & then brush it out with a big brush. I like the travel versions because it comes in a little case that I can just pop closed & slip in my bag. 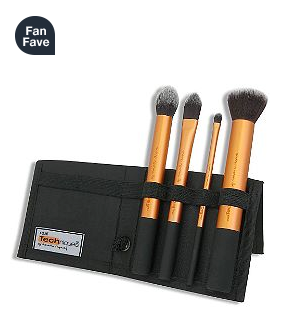 You will need a big makeup brush for your powder, the big ones are usually called kabuki brushes. And again, I will hit Sephora. 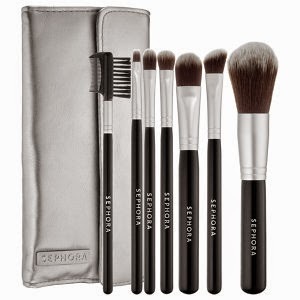 I find it best to buy a makeup brush set, (there they usually come in pouches) for the best deal. The great deal about the brush set is that you can also get ones for your blushes, eye makeup, etc. You can always ask a makeup artist there in the store for advice. Makeup brush sets start at about $20, while an individual one can also cost about $20. (See the difference? Best to buy a set) Budget wise you can pick up a set of Sonia Kashuk’s brushes at Target, starting at about $15, depending upon which set you buy, or Real Techniques at Ulta, has lots of good brushes at great prices. Tip: Best not to go SUPER cheap on makeup brushes. I had a friend who told me that H&M makeup brushes shed all the time. Makeup brushes from Target will do. And finally I always touch upon new fangled items. 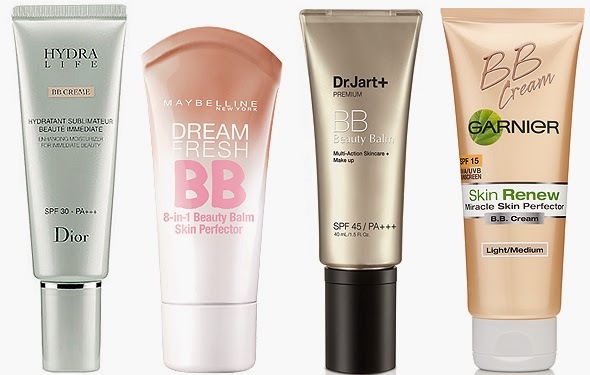 There’s an item that’s relatively new on the market, called BB creams. 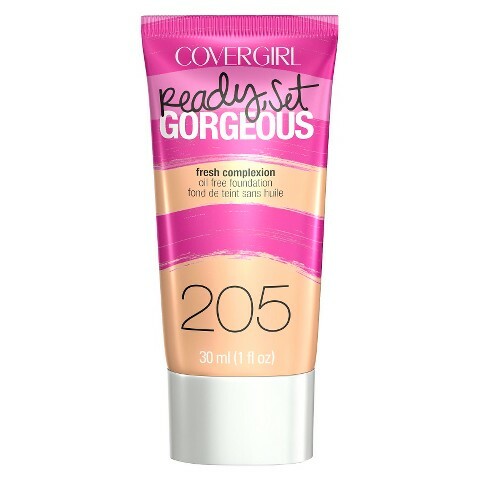 (short for beauty balm) It’s a primer, foundation, moisturizer, sunscreen & concealer in one. And they’re all the rage in Asia. Budget: For drugstore brands I find the one with the widest range of colors is Maybelline New York BB cream around $8, Splurge: Estee Lauder has a BB cream that’s about $40. 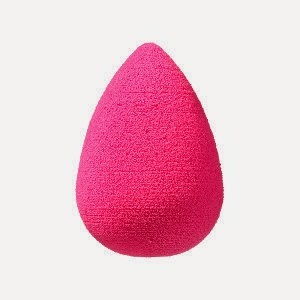 And finally, the (relatively) new Beauty Blender. 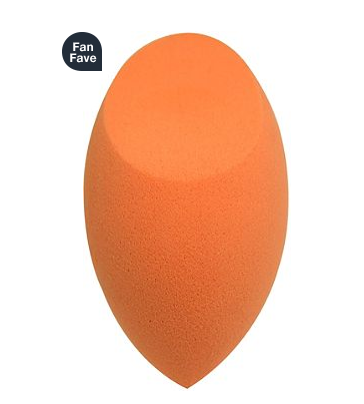 Some of you may have already seen it; it’s a makeup sponge that looks like an egg. I have it, tried it, & I love it. BUT, because of the popularity of the item, they have knock offs everywhere for lower prices. You can buy a set of ‘copies’ on amazon , a set of 4 of them are only $11. They sell the original on Amazon as well. The makeup store Ricky’s sell their own version for about $10; I happen to find one at TJMaxx for about $5. (Check out the link below for Amazon, where they sell both the original & copies) I don’t recommend the makeup sponges by Target or Sonia Kashuk; the sponges are really HARD (not really soft at all) to work with. HOWEVER, if you would like a great inexpensive makeup sponge, there is one by a brand called Real Techniques, called the ‘Miracle Complexion Sponge’ sold at Ulta for about $6. I have that sponge too, and it’s very good. No need to spend the $20 on the the beauty blender!!! You can buy it at Ulta, Ulta.com, or www.realtechniques.com. Finally! I’ve given you options on foundation, setting powder, bb cream, & makeup brushes / sponges! 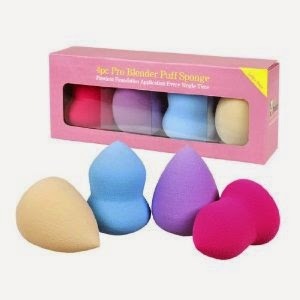 You will find below a video of how to use the beauty blender. And what is setting spray? A setting spray will help you keep all the products on your face in place, especially for long wear. If you plan on wearing it for a long time i.e. to a wedding or any other special occasion, putting on some setting spray WILL help your makeup stay one longer vs. look like it’s melting off your face. I happen to have the Urban Decay one because I happened to buy it in a makeup set, along with some other items. 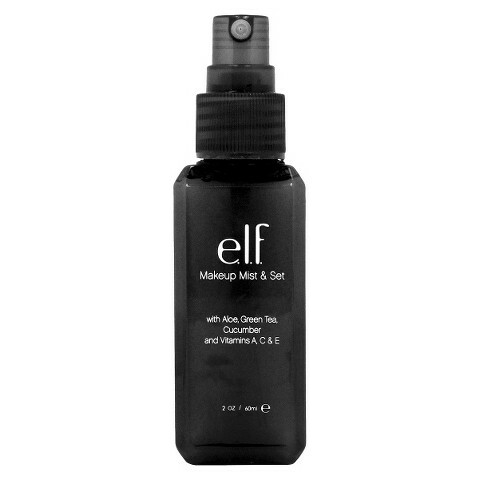 However, the E.L.F.’s Makeup Mist & Set is getting rave reviews, & for only $3!! I happen to get setting spray for my wedding, but you can get one for whenever you need your makeup to last awhile. And believe me, once you put it on, your makeup will last on hours longer than without it!! I know what you’re going to ask. What is the difference between this one, and the Urban Decay Spray above? 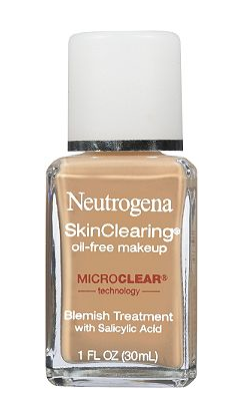 This one helps with oil control, & you’re supposed to spray it before AND after you put on your makeup. Not only does it help your makeup stay on, but helps your face from getting oily & caking on your face. I would definitely need this! Have fun & put your best face forward!! !